Master Sgt. Josh Gavulic died in a parachuting accident on Friday. A fundraiser has been set up to assist his wife and six children. An online fundraiser for the family of a special tactics airman who died in a parachuting accident Friday exceeded its first goal of $25,000 within 12 hours. A day and a half later, the donations had doubled. Early this afternoon, the fundraiser, organized by the Tactical Air Control Party Association, neared $65,000 in donations – signifying the impact of the life and tragic death of Master Sgt. Josh Gavulic, association president Charlie Keebaugh said. Gavulic, a TACP member assigned to the 17th Special Tactics Squadron at Fort Benning, Ga., was killed during free-fall proficiency training in Eloy, Ariz. He leaves behind his wife, Alyssa, and six children ages 16 months to 16 years, Keebaugh said. Alyssa is raising their children and working on a doctorate degree, he said. “We know his family has so many things on their plate right now. The last thing we want them to worry about is anything financial. It was an easy way to help immediately,” Keebaugh said. 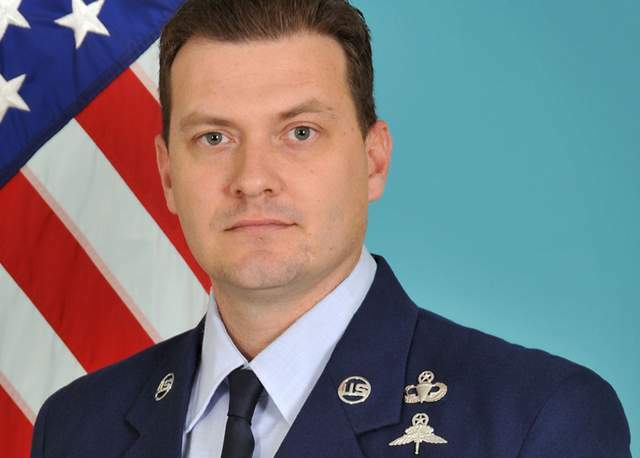 Gavulic had deployed 10 times to Iraq and Afghanistan, the Air Force said. He earned three Bronze Star medals and two Joint Service Commendation Medals with Valor, among others. Although the donations have already far surpassed the original goal, Keebaugh said he is not surprised. As long as the donations continue to pour in, the TACP Association will continue to increase the fundraising goal, which now stands at $75,000, Keebaugh said.